The principal activities of the club include diving, search and rescue and powerboating. Bellacragher Bay Boat Club was formed in 2003 by Seamus Butler, Claggan and Brian Masterson Owenduff, in response to interest from people in Achill, Mulranny and Ballycroy. In choosing a name, they picked the Bay that links all three areas together – Bellacragher Bay, pictured left. A introduction to sailing week was held on the four days after the August Bank Holiday 2003. On completion of the training, five 14ft boats sailed 6 miles to innisbiggle for the Island Festival. The sailing week has continued to the present and grown significantly. In 2008 approx 60 people took part and there was a fleet of 18 boats. The Club has had considerable success in obtaining training funding for commercial and leisure marine courses with Leader and MFG providing the funds. 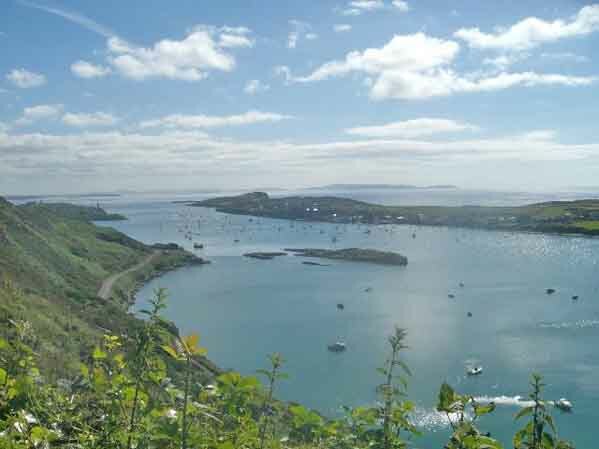 The Club members come from varied backgrounds but many have strong marine backgrounds and experience in all manner of boating activities, cruiser sailing, dinghy sailing, canoeing, powerboating, commercial fishing and diving/sking/kiting. In August 2008, the club was offered affilliation with The Irish Sailing Association, The ISA is responsible for most marine training in the country, their courses and certificates are recognised and approved by the Irish Government. Membership of The ISA was a major stepping stone in the advancement of the club, the ISA were very impressed with the club organisation and asked if they could use some of their techniques. In 2009, the Club plans to introduce a weekly sailing session in Claggan. This will be on a weekday evening, to suit tides, starting in may and ending in October. Sailing will be on 420s 470s, Lasers, andToppers with a fully equipped and qualified safety boat and crew supervising the sailing. Any one that wishes to have a go is very welcome to come along, even if you just want to have a look. There is always a few on the shore, getting boats ready,repairing them or looking after the BBQ. The Sailing will follow the ISA syllabus and arrangements have been made for an ISA Examiner to visit the Summer Sailing camp to assess Sailors and test them for the various sailing levels. The Sailing branch of the club is also home to the Sea Scouts of the 22nd Mayo Troop. The club provides the scouts with all the waterborne experience they need. 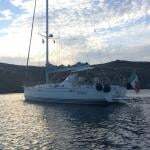 In addition to dinghy sailing, short cruises to Clare Island, Inishturk and Inishboffin take place during the summer where possible.The boats used are sailing cruisers and powerboats/sports cruisers. There are usually crew places available. There is so much to learn about the sea that a short article is barely able to touch on the subject but people are very welcome to join or visit one of the sessions. You may observe Navigation, ropework, capsize/survival techniques or first aid and may find that it appeals to you! CHSC was founded in 1979 to provide sail training for junior sailors. ISA courses (level 1–5) are held every July. A new modern clubhouse with showers facilities available to all visitors. Pontoon berths available. Laser all rigs, Mirrors and 1720s. Dinghy courses offered up to Improving Skills, Advanced Boat Handling, and Racing 1. It is not known when Bantry Bay Sailing Club was founded, but it is thought to have been in the late 19th century. The club was active during the 1920s and ‘30s but lapsed during the Second World War, probably in 1946, but has been continuously active ever since. The club was always based near the Abbey area due to the location of the sheltered mooring (inside the Abbey Point), the availability of the Bantry House slipway (known then as Curleys/Cons Slip) and convenience to the town. There was no clubhouse until about 1970, when a prefabricated wooden structure was obtained from Whiddy Island after the terminal construction work. During the 1960s club membership had increased dramatically, especially among young members owning their own boats and it was necessary to provide better facilities. The plot of ground between the cemetery and the strand was donated by the late Paddy O’Keeffe on condition that a slipway be built suitable for launching and hauling ashore larger boats. The Abbey slip was built by the County Council and Bord Failte. The plot adjoining was designated a leisure area for public use and the temporary clubhouse was sited there until it was burned about ten years later. At that stage the club decided to build a permanent structure and the only suitable location was the old Bantry House boatyard. After the Whiddy Disaster in 1979, the Government provided funds to the Bantry area to compensate for economic loss, provide jobs and fund projects and facilities. The Club availed of this and a lease of the boatyard was acquired, the old boathouse demolished and the new clubhouse was built (facing stone from old boathouse). It was officially opened in June 1988 by the late Denis Doyle. The club would like to acknowledge the generosity of the Shellswell White family (Bantry House). Facilities include storage (temporary with temporary membership), shower and toilet facilities, navtext, phone, waste bin, water and free visitors moorings provided by Bantry Harbour Commissioners. 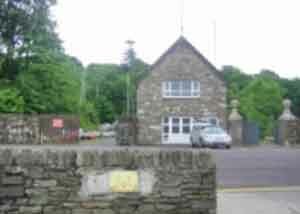 Inniscarra Sailing and Kayaking Club was set up in 2002. We operate from a recreation area called Innisleana with the kind permission of the ESB. In 2004 the club put in its own dedicated slipway and boat holding area and plans further improvements in the years ahead. The club is just three miles from Ballincollig (six from Cork City) on the Lee Valley reservoir. We have a small but very keen local membership. Kayaking and sailing events take place throughout the year, mainly at weekends, with some mid-week sailing. The flagship event of the year is the Commodore's Cup. Kayak races in the morning are followed by a sailing race up the lake from Innisleana to Farran. The Inniscarra Sailing Club runs ISA accredited sail training in the summer months. Experience the freedom of the Shannon and Erne waterways. Captain your own cruiser and discover the hidden corners of Ireland. Over 800 kilometres of navigable waterways are awaiting your arrival, with rivers to explore, towns and villages to discover and acres of lakes to relax on. Heritage and cultural sites are around every corner, from ancient standing stones, castles, sixth century universities, cathedrals, round towers, monasteries and industrial archaeology sites. Witness at first hand the engineering marvels of Ireland’s canal systems and experience time travel through a forgotten age, at a leisurely pace. Discover the country and the local culture, admire the passing scenery and experience traditional music and arts. Engage in a variety of active pursuits from golf, walking, cycling, archery to horse riding and trekking. 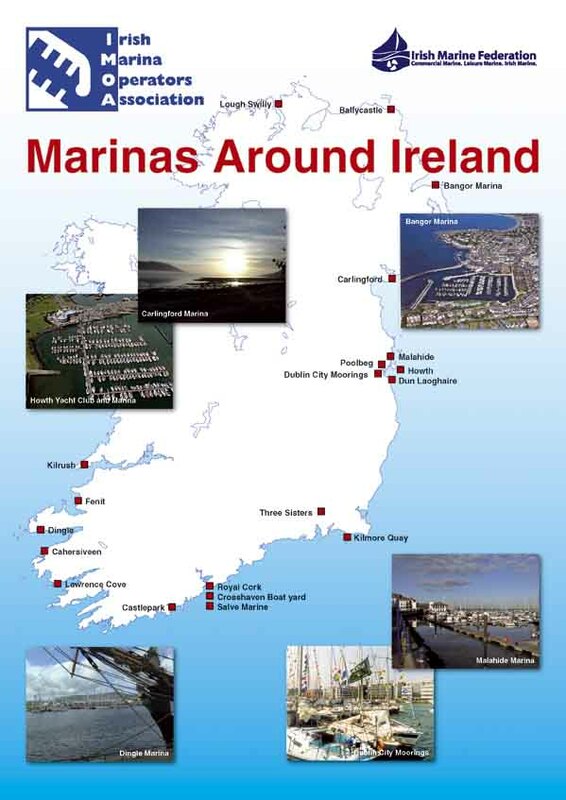 Why not do some relaxed fishing as you travel through the centre of Ireland. Freedom to come and go as you please. An inland waterways holiday allows you to set the pace. Stop and take a break when you want, see the sights, put the rod in the water and fish a little or hit a golf ball. Relaxation, stretch your legs on a forest walk or simple put your feet up and watch the world pass by. Slow tourism – the eco-friendly way to tour With our modern boat fleet equipped with the latest diesel engines you and your family can still cruise the Lakelands and inland Waterways of Ireland, visit new and exciting venues, engage in active pursuits yet leave only a small carbon footprint. Clean Boating Charter to ensure that your holiday is as green and ecofriendly as possible the Irish Boat Rental Association members have introduced a Clean Boating Charter. See www.boatholidaysireland.com for details. Experience the Unique With over 800 kilometres of navigable waterways the Shannon-Erne system of lakes and rivers offer the visitor one of the longest but least crowded waterways in Europe. With a minimum of locks, a simple but comprehensive navigation system, the Shannon Erne Waterway offers the discerning boat cruiser a trouble free holiday and a safe cruising environment in which to enjoy the unspoilt natural amenity which is the Shannon Erne. The waterway system is a boat holiday cruising paradise, unmatched throughout the world for beauty, heritage and the unique culture of the area. Ireland’s waterways can be a place of absolute solitude and peace, or a lively holiday region where activity opportunities abound – the choice is yours. Ireland’s waterways give you the choice and freedom to do as you please at what ever pace you want to go. The hundreds of moorings, quiet harbours, marinas, bustling towns and tranquil villages along the way provide you with the opportunity to tie up and enjoy the unique cultural experience that is Ireland. If you are looking for a 'get away from it all' boating holiday, to float in isolated tranquillity surrounded by breathtaking scenery and fascinating heritage, you will find it in Ireland. Lough Erne in the North, Lough Ree in the Midlands and Lough Derg in the South offer vast cruising grounds with rarely another boat in view. However, if you should want a lively choice the Upper Shannon offers you idyllic cruising waters with great waterside pubs and restaurants, nightlife and a chance to meet other cruising parties who are enjoying a boat holiday in Ireland. The interconnecting rivers and lakes stretch from Belleek, the most northerly point of the vast Lower Lough Erne to Killaloe, the southern-most navigation point on Lough Derg. • Lower and Upper Lough Erne. Lough Erne is connected to the River Shannon via the Shannon/Erne Waterway. • The Upper Shannon from Carrick on Shannon to Athlone including Lough Ree and Lough Key. • The Lower Shannon, the area from Athlone to Killaloe which includes Lough Derg. Above this handsome lake the Cliffs of Magho provide a rugged contrast with wooded islands, sheltered bays and open waterways. 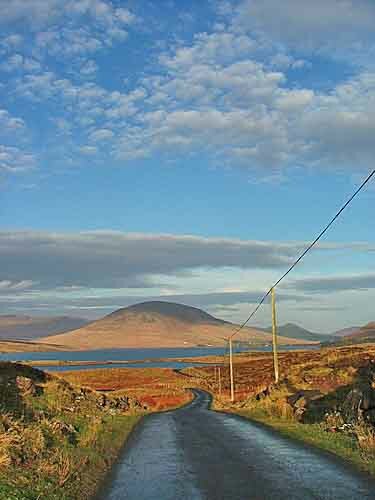 West of the Broad Lough the hills of Donegal are a reminder of the Atlantic Ocean beyond. 29 kilometres of varied navigation meander between Belleek, the Erne system’s western most port at the Atlantic’s gate above the town of Ballyshannon and Enniskillen, the fortified island town at the heart of the Erne lakes. Around Upper Lough Erne the intricacies of combining land and water work very well together. The woods, forests and farmland are in harmony with the river in this extensive inland navigation. There is a sense of privacy and individuality. Exploring the many inlets and islands is a boating enthusiast’s dream and a wonderful destination for nature lovers. The waterway is an intriguing region with boating and angling in abundance and history and folklore at every turn. This modern waterway is based on the line of the old Ballinamore and Ballyconnell Canal, with automated locks and other user friendly refinements reflecting the investment and planning that have gone into re-connecting the Shannon and Erne waterway systems. It leaves Upper Lough Erne through the Woodford River near Belturbet and heads southwest and then west to Leitrim Village and the Upper Shannon. The waterway has opened up an area of Ireland that was relatively unknown and this tranquil link with its gentle pace has grown in popularity. Lough Key and Lough Allen are both inland seas but are very different to each other. Lough Key is an islandstudded lake, while Lough Allen is determinedly rugged with the iron mountain of Sliabh an Iarainn to the east, the old coal hills of Arigna along its western shore. Lough Allen is a majestic lake, 12 kilometres long and almost 6 kilometres across on the wide northern shore. Lough Key is arguably the most beautiful lake on the Shannon System with the fine town of Boyle at its western corner. The Curlew Mountains along the lake’s northern shore seem like high mountains rising above the lush countryside and ancient woods which reach down to the shore line. The lordly Shannon, the longest river in Britain and Ireland, is beginning to get a sense of itself as it meanders south through Carrick on Shannon, the northern capital of this history laden waterway. The prosperous county town of Leitrim is a thriving boat centre and a welcoming place with a real buzz and an active cultural life. South of Carrick the river’s long stretches of water weave between pretty towns. On through the picturesque towns of Jamestown and Drumsna, the river widens through Lough Boffin past Dromod and narrows again through the busy town of Roosky before flowing through Tarmonbarry and onwards to Lough Ree. Lough Ree is one of the Shannon’s three main lakes, 32 kilometres long and gradually widening to 10 kilometres across. This much indented lake has a generous scattering of islands and although it is the geographic centre of Ireland, it maintains an attractive air of remoteness. The shoreline varies – in the relatively unpopulated northeast of the lake along the Longford shore there is quality bogland. Along the eastern shore, County Westmeath has lush farmland and thriving woodland. The south of the lake is very much a water playground for the large town of Athlone. To the western shoreline lies Roscommon and the quiet town and harbour of Lecarrow, reached from the lake by its own small canal. South of Athlone the Shannon enters its most distinctive phase becoming a wide stream moving silently under a vast sky. For 50 kilometres the river falls through river meadows, the Callows to Portumna at the head of Lough Derg. The regular flooding of the Callows is a vital part of the ecosystem, enriching the water and sweetening the land. The rising ground at Clonmacnois, 20 kilometres downstream of Athlone, had prominence along the river and throughout Ireland. This was the site of the great monastery which became a university and the ancient Christian capital of Ireland. Although it was raided by the Vikings, it has endured as the greatest of the monuments along the Shannon. The Shannon continues to meander south to Shannon Harbour where the Grand Canal connects Dublin and the east coast with the Shannon. You are now on the old water borne trading route connecting the capital of Ireland with a series of midland and Shannon towns such as the Georgian town of Banagher and then on to Limerick via Lough Derg. Lough Derg is a handsome inland sea set in an attractive blend of mountain and hillside, woodland and farm. The mountains surrounding this fine stretch of water have their own beauty and variety. The shoreline has many small sheltered harbours at strategic intervals. There are 13,000 hectares of spectacular waterway, ideal for all kinds of watersports. The beautiful countryside around the lakeshore is perfect for walking, cycling, horse riding and other visitor pursuits. Lough Derg is contemporary in outlook, yet comfortable with its traditions. It is a place blessed by nature for sport and recreation. The extensive shoreline changes wonderfully in its nature between three large counties – Galway to the northwest, Clare to the west and southwest and Tipperary along the entire eastern shoreline. The lake is big enough to provide total seclusion yet there is always a bustling spot nearby. Experience is not necessary and no licence is required. Training will be provided by our experienced staff. When you book your boat holiday in Ireland your operator will send you a 'Captains Handbook' which will contain details of all you need to know about operating your cruiser. The handbook contains details on how to prepare for your cruise, vital information on how the boat works, navigational information and how to pass through a lock. On arrival at your operator’s base you will be shown a training video and then given on-the-water training by a fully trained, experienced instructor. 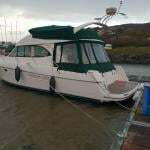 Many of our customers choosing a boat holiday in Ireland have never handled a boat before. Mastering the controls of your cruiser and understanding the navigation is quickly learnt. All of our cruisers are fully equipped with the necessary safety equipment and navigational charts to ensure that you have a safe holiday cruise. Our operators have a boat to suit your boat holiday needs. As you will spend more time in your boat than you would in a traditional holiday cottage we recommend that you book a boat that has more space/berths than the number of people in your group. This will give you more space to live and relax in. Our operators have extensive fleets of different classes of cruisers all with their own individual characteristics and designed to suit the needs of parties of two, four, six or eight people and we can even supply boats for up to parties of twelve. All the cruisers that are offered by our operators are designed for the Irish waterways and are fitted out to the highest standards to ensure maximum cruising comfort. We have illustrated a typical Shannon cruiser here to give you an indication of the accommodation layout, but it is important to check with the operator of your choice the exact specification of the cruiser that you book. Jody Drennan’s traditional pub is about five minutes’ walk from the Royal Cork Yacht Club Marina (opposite the Hugh Coveney pier and new lifeboat building) and has a cosy, homely atmosphere with dark wood, open fires and marine artefacts. Menus major in seafood (chowder, crab claws, whole garlic prawns with paprika butter; main courses like black sole on the bone or pan-roasted monkfish with crispy bacon, cherry tomatoes and citrus dressing) but there’s plenty else to choose from: T-bone steak, for example, roast chicken, or a house special burger with crispy bacon, grated cheese and fried egg, served on toasted bread. Dinner: Thursday-Sunday; Lunch: Sunday only. This 150-seater has the atmosphere of an independent restaurant rather than hotel dining room. Although large, it’s broken into three spaces, each with its own style – a clever idea that has gone down well – and menus are interesting, based on local produce (seafood is all provided by O’Connells of Cork), and affordable. Good food, efficient service, a pleasant ambience and value for money keep regulars coming back for more. Dinner: Daily; Lunch Sunday only. Nicky and Patricia Moynihan’s highly-regarded bar and restaurant is close to the Cobh car ferry. Seafood takes pride of place on both bar menus (chowder, garlic mussels, real scampi and chips and much else besides,) and in the restaurant (crab claws, sole on the bone, seafood platters) but other specialities include steaks and duckling – and vegetarian options are always available. Relaxed atmosphere, professional service. Bar meals 12–9.30 Monday-Saturday, Sunday to 9; Restaurant 12–2.30 and 6.30–9pm Daily. Cobh – A favourite destination in Cobh is Robin Hill Restaurant (Lake Road, Rushbrooke; 021 481 1395). A phone call and a taxi are essential as it’s a good way to walk , and up a very steep hill (lovely views though); stylish, great food and heaven for wine buffs. Unfortunately they’re aiming to relocate, but will probably still be here in Cork Week. (Dinner: Wed–Sat, Lunch Sunday only; reservations required). Jacob’s Ladder, at the aptly named WatersEdge Hotel (021 481 5566) is handy and the contemporary restaurant has views across the harbour and a deck where you can make the most of any fine weather. Seafood tops the bill, as usual in this area, but carnivores and vegetarians are not forgotten. (Lunch and Dinner daily; reservations recommended). Kinsale – Plenty of restaurants to choose from in Kinsale, of course. The special occasion place is Toddies on the Eastern Road (021 477 7769), which is well-located overlooking the harbour; for more informal outings Jean-Marc’s Chow House (021 477 7177) offers oriental cooking with a difference: stylish combinations of Chinese, Thai and Vietnamese cuisines go down a treat with the area’s discerning diners, who enjoy the atmosphere, Jean-Marc’s excellent cooking – and the prices – an average meal is around Euro 27. (Dinner only, daily, from 6.30 in high summer). If you’re in Kinsale at lunchtime head for Fishy Fishy Café (021 477 4453) near St Multose church; this delightful fish shop, delicatessen and restaurant is a mecca for gourmets – but get there early or be prepared to queue (no reservations). Lunch daily 12–3.45.